Home/News & Features/Social Media News/Google/Voice search for local businesses – What is its future? It was 2 months ago, on May 18th when Google brought a number of developers for Google I/O, during its annual developer conference. Some of the topics that were discussed there were natural language processing, artificial intelligence, announcements of new product and voice recognition. Some new product announcements are Google Assistant, Google Home and Allo. Now that there are some new developments, you must be wondering how this should impact local marketing. Read on to know a bit more on these announcements. The future of voice-related search is purely driven by artificial intelligence, machine learning and natural language processing. It was discovered that through machine learning, it is easily possible to take the analysis of a site beyond the normal basic elements of SEO. It is possible to analyze the content of a URL and also ascertain the emotion and tone of the content. Such announcements from Google are sort of good news for the small business organizations. It is now possible to write copy which is conversational, contextual and simple which our users may be able to understand. 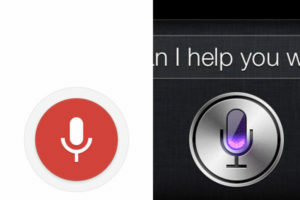 Voice-related search along with machine learning and language processing will come into effect by contextual information about the users, their style, location and past behavior. Here are the 3 main ways in which you can win in the field of voice-search for local business firms. Understand the conversation and speech of the customer. Ask your team to gather all those phrases which your customers are using for describing their issues. Allow the marketing team to listen on calls and when the account and sales managers go for a meeting with their clients, they should note down the most common phrases. Ask them simple questions and allow the customers to answer you in their own words. Gaining and collecting this knowledge should be an effort throughout the entire company. Gather the intelligence and combine it in place marketing may use it for web sales and copy and support may use it for scripts, FAQ and some more purposes. As more and more consumers utilize voice search with enhanced frequency, the businesses which pay attention to conversations of the customers are the ones who will win. A voice search will also help marketers reach out to the audience.